Mexico's Pemex Company reported that the new oil field is of great economic importance due to its location next to the existing oil production infrastructure. Mexico's President said that that oil will be produced at a low cost because of the convenient location of the oil field. MEXICO CITY (Sputnik) – Mexican President Enrique Pena Nieto said that Pemex has discovered an oil field that "initial research provides the first reserves estimate of over 1.5 billion oil barrels of oil equivalent, which may mean that the 3P reserve [proven, probable and possible] is 350 million barrels." — World Wide News (@WWNews9) 4 ноября 2017 г.
Pena Nieto added that the new field was Pemex's largest onshore discovery in 15 years. The level of Pemex oil production has fallen to its minimum value in more than 20 years. 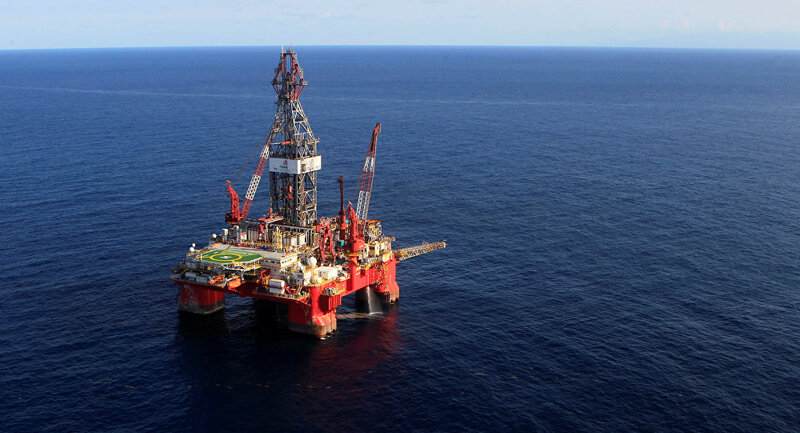 This month, it averaged 1.7 million barrels per day. According to the Pemex energy company, the field is of enormous economic importance, because it is located next to the existing oil production infrastructure, which will help to develop the field faster. The President of Mexico also stated that fuel production will be cheap due to the convenient location of the oil field. In November 2016, the United States discovered the region's largest oil and gas field. The US Geological Survey (USGS) then published data on the Wolfcamp shale formation in Texas. Technically recoverable oil reserves on Wolfcamp are 20 billion barrels, natural gas — 453 billion cubic meters, and gas condensate — 1.6 billion barrels, according to USGS materials.